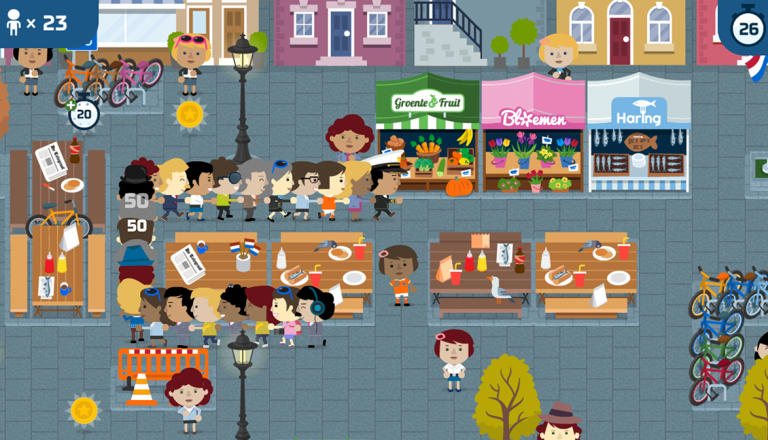 Because anything worth doing is worth doing again! 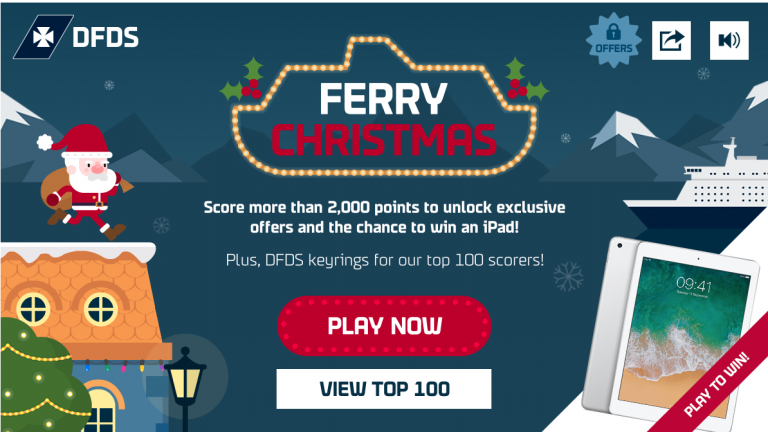 As with any branded game, DFDS needed a game that would not only inspire all the Christmassy-feels but didn’t stray too far from their key service offering. Herein lay the challenge; ferries don’t necessarily conjure up images of sleigh bells, tinsel and mince pies. 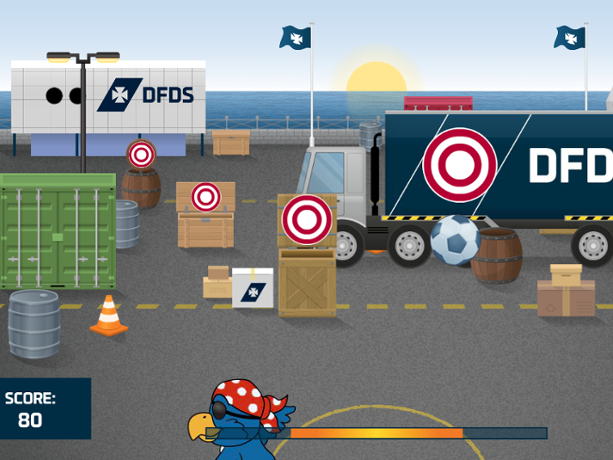 When DFDS came to us with this Christmas-Conundrum, we knew just what to do. 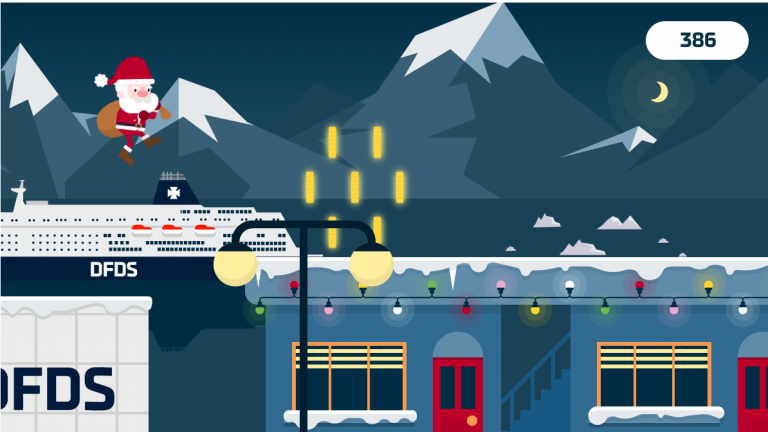 Building up from our standard Christmas Rooftop Runner game, we drew inspiration from DFDS’s Nordic destinations and revamped the setting to a winter wonderland. 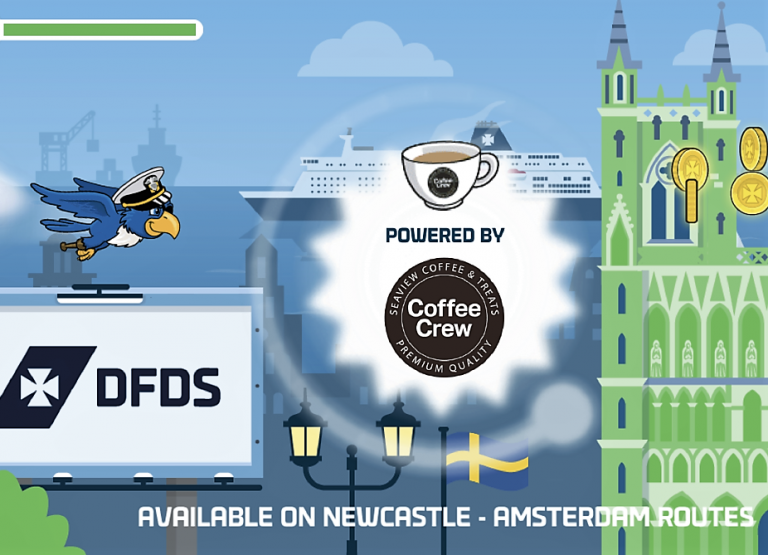 To tie the game back to the brand we created a custom backdrop featuring a moonlit gulf with DFDS ferries as well as featuring the DFDS HQ building. Plus, Ferry/Merry? C’mon! How could we resist? 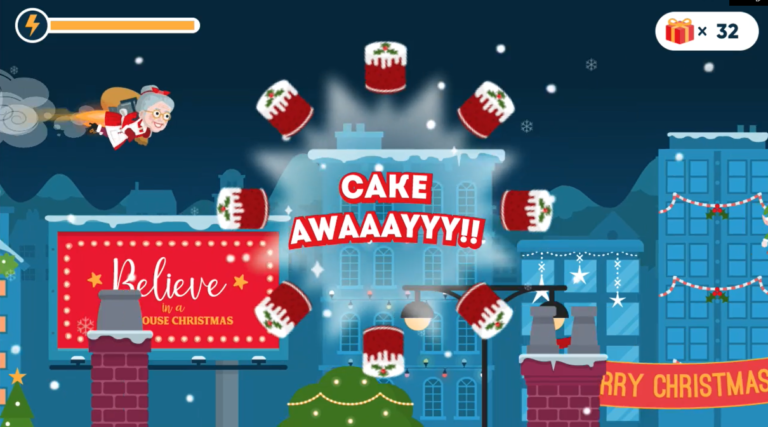 The icing on the Christmas cake? 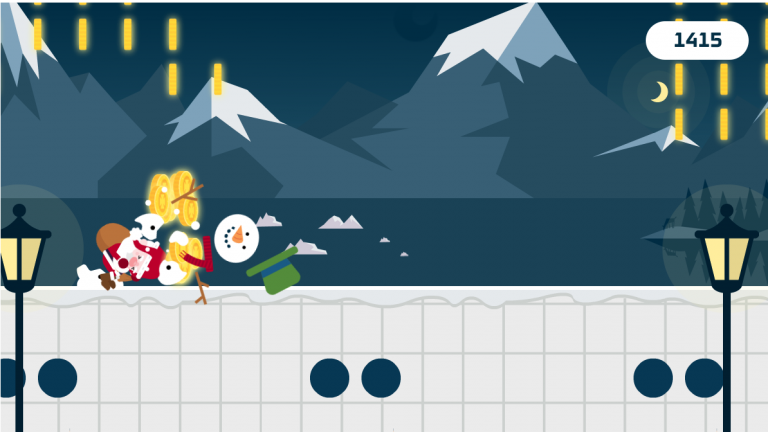 The game was well received by DFDS’s audience having been played over half a million times in December and with around 30,000 unique players; on average each person played 22 times! 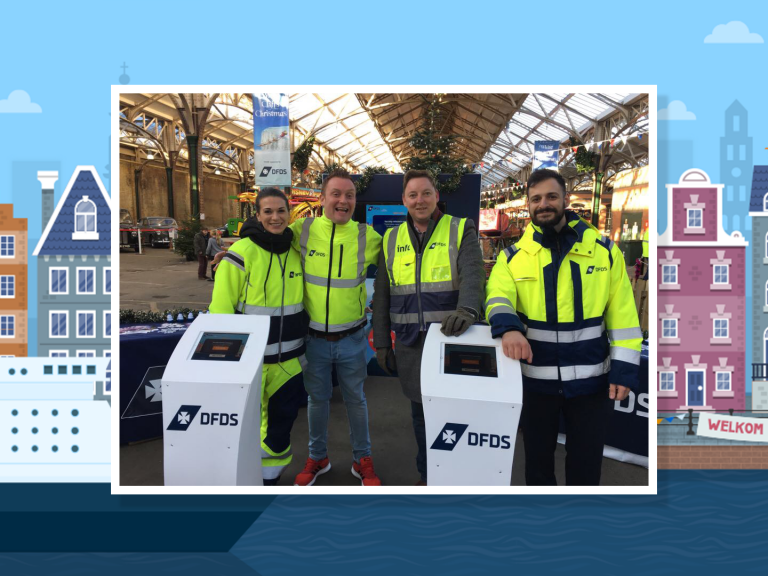 December 2017 was creeping ever closer and DFDS knew they’d have to pull something out of the sack to delight their audiences again in the lead up to Christmas. 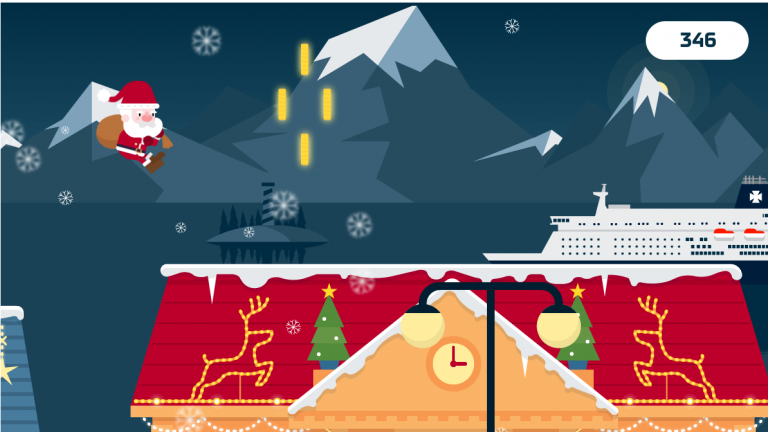 The old saying goes that “if it ain’t broke, don’t fix it” and given the success of the previous year they dusted off Ferry Christmas ready to for another go! 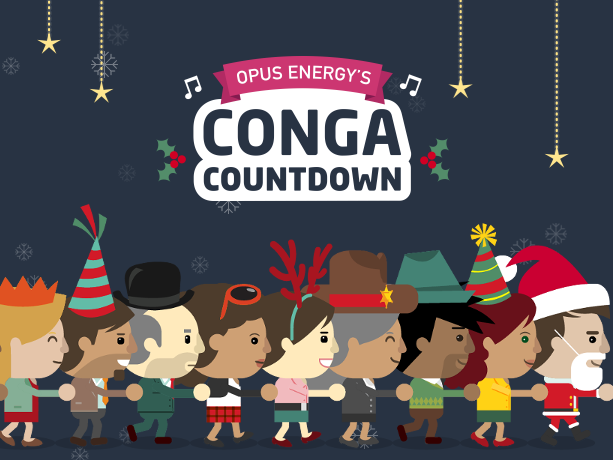 This year though, they wanted to make sure other audiences could get involved in the fun. 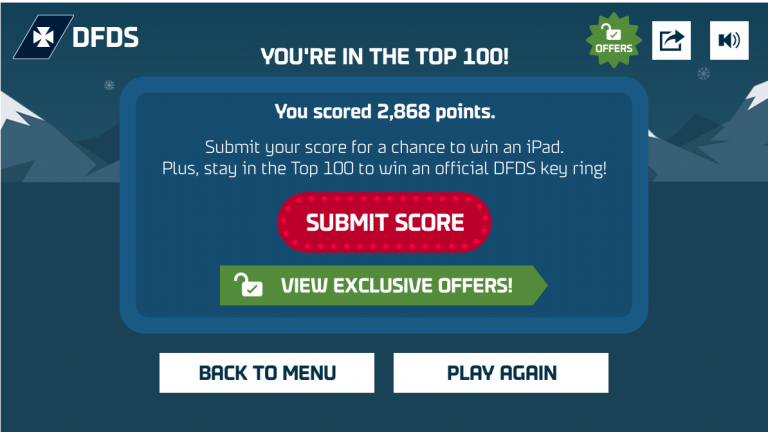 DFDS had both an English version and Dutch version of the game developed with different prize draws, a top prize of an iPad for UK players and those ranking in the top 100 scored themselves an official DFDS keyring, while players in the Netherlands were in with a change to win a full years’ free travel. It really was the season of giving! 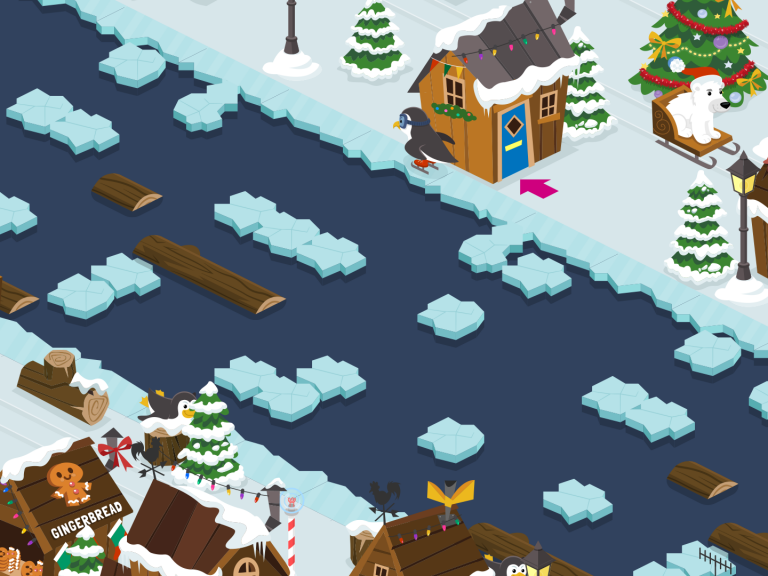 DFDS have sleighed it for two years running with their Christmas competitions and this was no different in 2018 where the gang commissioned a festive reskin of their Capital Conga game. Keep your eyes peeled for a case study coming soon!